Choose from a wide range of animals toys. Request a quote today from our Online Store! Animals There are 36 products. 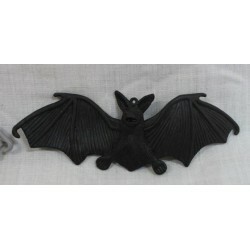 8cm plastic bat in grey or black with good detail. Packaged in 12 pieces or 72 pieces per bag. Mommy bath duck with 3 baby ducks in a net. All have squeakers. 1½ inch plastic butterfly with good detail. 6 assorted colours. Packaged in bag of 12 or 72 pieces. 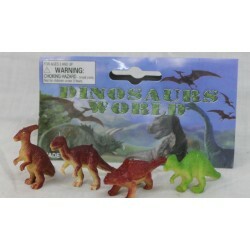 7 Asstorted soft plastic dinosaurs - "Land before Time" type of design. Display Box Of 7 assorted dinosaurs with squeak function. 6 Assorted soft plastic farm animals - cartoon design; Display Box Of 6 pieces. Squeak function. 6 Assorted soft plastic cartoon design wild animals; Display Box Of 6 assorted animals with squeak function. 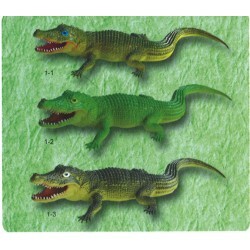 32cm plastic crocodiles; 3 assorted colours with good detail on each; Display box of 12 crocodiles. 29cm good quality plastic dinosaurs. Good detail on each dinosaur - Display box of 12 assorted dinosaurs. 3 inch plastic dinosaurs in a bag with a header for display. 12 pieces per bag. 12 assorted dinosaurs. Good quality and details on animals. 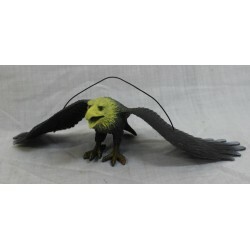 25cm plastic eagle with an elastic across the wingspan to allow movement. 2 assorted designs. Display box of 18 eagles. Good quality and detail on each eagle. 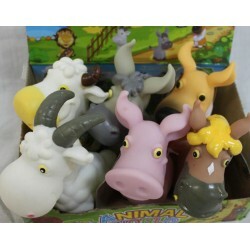 10cm good quality plastic farm animals. Good detail on each animal. Packed in a bag of 12 assorted animals with a header card for display. 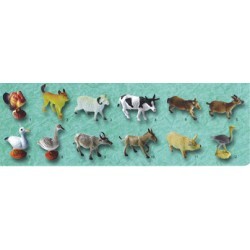 14cm assorted plastic farm animals with good detail. 12 assorted animals in a display box of 24 pieces.